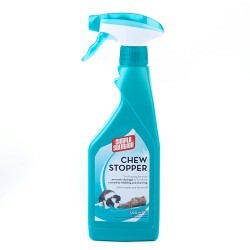 Product Information - Use this Simple Solution Chew Stopper which is a strong, bitter tasting spray that is applied to any item that is likely to be chewed or damaged by repeated chewing or gnawing from your furry friend. 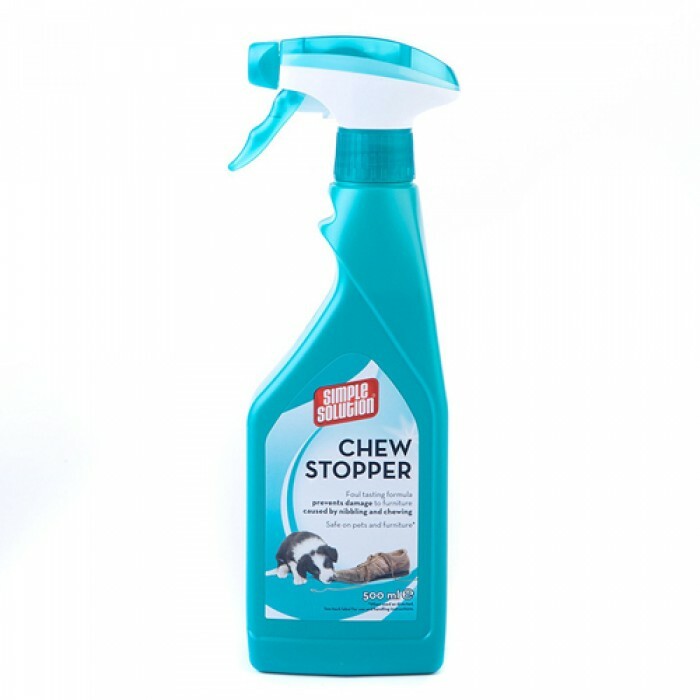 You should apply the spray liberally to areas affected and repeat apply as necessary. We recommend that you test on a small surface area first for colourfastness. Ingredients - Purified water, Bittering agents, Grape seed extract, Lemon extract, oil of Lavender.